NICR’s extensive resources and services indicate our commitment to partnering with sponsors urgently pursuing product R&D. We encourage sponsors to enable us to partner with you, providing the broadest trial services. NICR occupies 12,000 square feet of space with centralized research administrative offices for CRF storage/archiving, secure supply storage, private offices for monitored visits. Large conference room, library, and lab. Company-wide, all our IATA-certified CRCs perform blood draws, process specimens for same-day central lab shipping, and have dedicated space for detained, patient observation. NICR possesses relationships and alliances with multi-therapeutic sites on both coasts. Our physician-to-physician communication ensures site responses reflecting actual capabilities providing sponsors with realistic site resources and enrollment potentials. Once approved as a site, NICR pursues accelerated local/central IRB approval, the primary limiting factor for achieving timely study initiation. Sponsors achieve economies-of-scale through utilizing NICR services managing streamlined, multi-site IRB coordination. With the emergence and integration of advanced drug, device, and biotech research methodologies, start-ups to multi-national biomedical companies have accelerated their pace of in-human trials. They now rely upon CROs and SMOs as strategic, value-added outsource entities for study operations. NICR is highly cognizant of and responsive to the unique needs, time lines, and financial accounting of CROs and SMOs. NICR is flexible and able to provide limited, or all available, services according to your project requirements/parameters. NICR maintains a high level of discretion preserving CRO and SMO confidentiality. NICR recognizes the importance of timely completion, return and archiving of FDA and sponsor regulatory documents ensuring compliance with FDA, IRB, pharmacy, lab, hospital, and related entities. We ensure thorough document completion and monitor continued regulatory doc compliance up-to-and including study close-out. NICR has years of experience in contact management software, net-based file transfer protocols, electronic data capture (EDC), and optical character recognition (OCR) at the investigator site level enabling us to exceed highest quality-assurance standards providing sponsors with opportunities to achieve significant, cost-effective multi-site data collection digitally, or on paper CRFs. 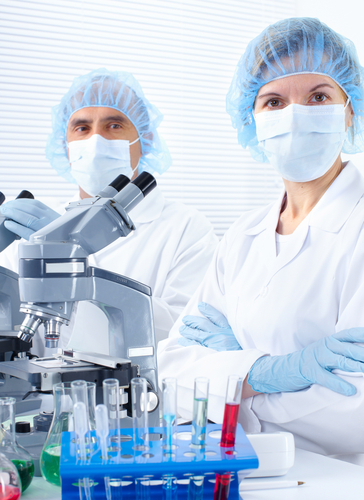 NICR utilizes full and part-time clinical research professional services fulfilling unique time and demand needs within each site, or across multiple sites performing same studies, thereby achieving greater sponsor savings and standardized, multi-site study operations. Our professionals maintain a high level of discretion operating within sites emphasizing study enrollment urgency to site physicians, RNs, PAs, and other trial personnel. NICR is cognizant of the myriad of perspectives involved with pharmaceutical, device, and biotech research and development: physicians; health care professionals; government; investment; hospital/clinic administrators; pharmacies; community and, of course, patients. As such, NICR is dedicated to cultivating positive attitudes towards clinical research across all groups through conscientious, responsive lectures, seminars, and educational modules. We support the furtherance of patient education foremost, and ethical, corporate partnering bringing proprietary, life-saving/prolonging products to needy patients and markets worldwide.